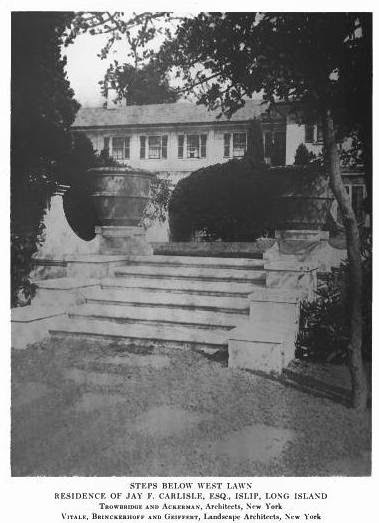 'Rosemary', the Jay Freeborn Carlisle estate designed by Trowbridge & Ackerman c. 1917 in East Islip with landscaping by Vitale, Brinkerhoff and Geiffert. Carlisle was a partner with the brokerage firm of Carlisle, Mellick & Co., and was a member of the New York Stock Exchange since 1893. East Islip was also home to Carlisle's Wingan Kennels where he bred Labrador Retrievers and was considered one of the foremost breeders in the country. He was married to Mary Pinkerton, granddaughter of Allan Pinkerton. Carlisle died in 1937, the contents of the home went to auction in 1938 and 'Rosemary' was demolished in 1940. 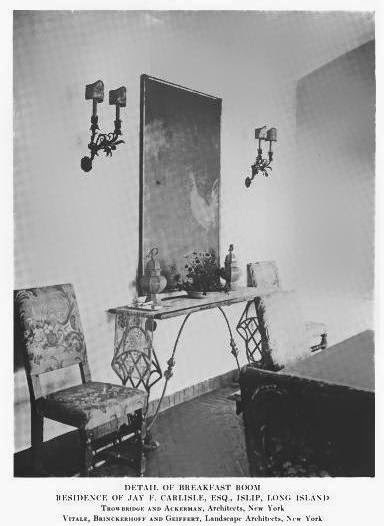 Photo from the Parke-Bernet Galleries Catalog, 1938 and the Year Book of the Architectural League of New York, 1921. Zach!! What a great discovery!! Unearthing more of these South Shore estates. So much has been said of this one, but not really much on photos...these are great. This is the estate Magnus referenced in Zach's Sept 10 posting of 'Woodland.' It appears an attempt was made to sell the place; but not for very long. I'm reminded of comments earlier this week about high quality [Brown] furniture selling for very little these days ... which makes no sense to many of us. Perhaps the South Shore suffered a similar fate? 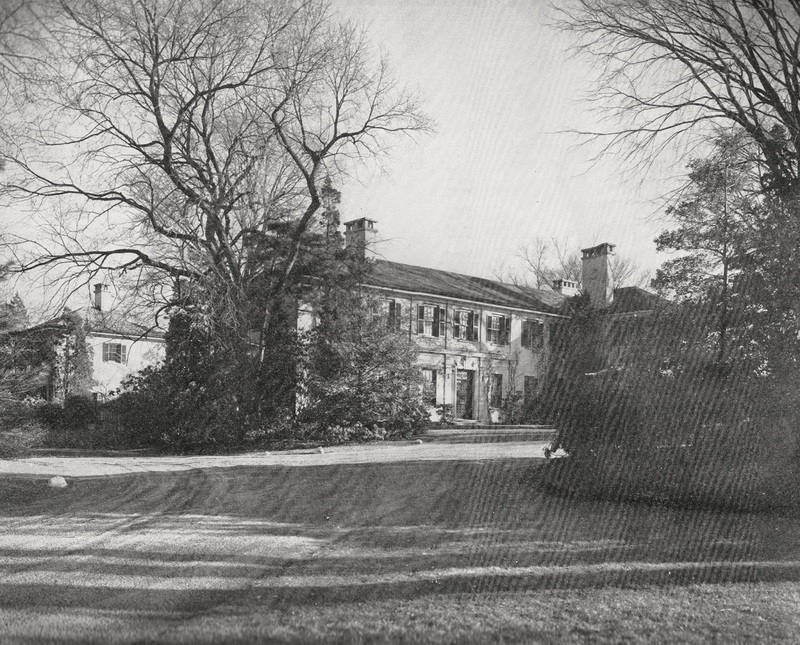 The heirs to enough notable estates had no interest until that became the general trend for the South Shore. I think we'll all agree that so much of what gets saved involves timing & personalities. The auction of the contents of Rosemary took place at Parke Bernet's first US auction. The catalog for the auction commands a fortune in the second hand book market, but is fascinating. 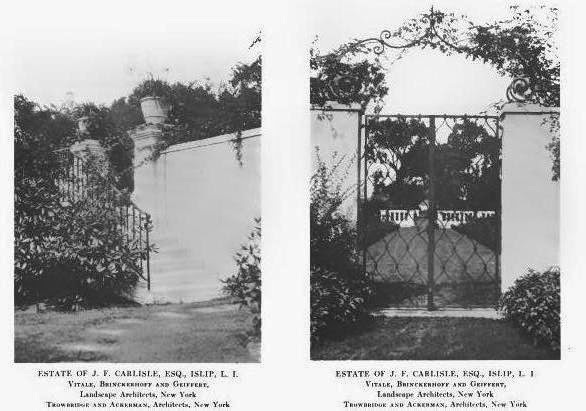 The Carlyle's were clearly collectors and the house was filled with an enormously attractive collection of primarily English furniture (of the sort that, as DFP points out, is now wholly out of fashion). The interiors were surprisingly comfortable and livable, even to today's eyes- quite a contrast to those at Meudon pictured a few days ago. 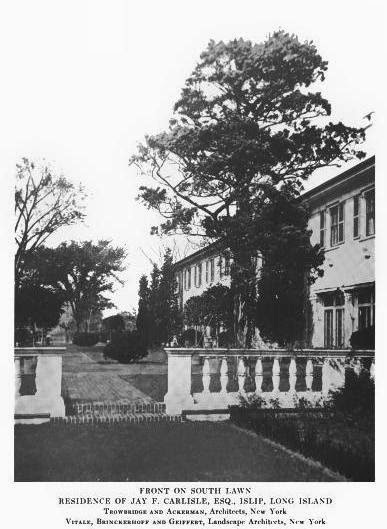 The Carlyle's also had a wonderful house in Palm Beach on Golf View Road, which, with its center section removed, still exists as two separate houses. It is intersting to read the auction catalog, as it appears that almost everything in the house was sold, down to the monogramed table linen and bath towels. It would seem that the three Carlyle boys, still rich thanks to all that Pinkerton money, had little attachment to their parents' material possesions. I would love to have those linens.....and I hope this house was not torn down (as many were in this era) bashing the chandeliers and light fixtures....panelling and floors along with everything! Europeans have long been stripping their places of tile, light fixtures, floors and other priceless parts. Americans have been really bad at that. I am hoping we are improving! (we won't have to salvage any of the styrofoam moldings of the eighties and nineties.....and even our era. truly. Styrofoam. EEEEEEEW!! !